This Alphabet Poster worth £20 is available to one lucky winner, along with access to the Practice Words with Pip App from the iTunes store. Brought to you from Learn To Read With Pip. Introduce your child to Pip’s magical world of letters with this bright and colourful large wall-poster. Unique artwork shows each of the letters with their appropriate character, presenting 26 alliterative friends to unlock the magic of reading. Give your child the best possible start by transforming the alphabet into a set of friendly and familiar faces! A1 (594 x 841 mm), 120 gsm, full colour, fade resistant and moisture resistant. 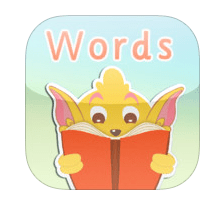 Practice Words With Pip App on iTunes. Designed by teachers to help children enjoy learning beyond the classroom. Learn to read with Pip is a fun set of curriculum-led phonics games which help your child to enjoy learning beyond the classroom. This app is designed for children covering the Reception year curriculum, moving from simple CVC words to longer words. Your child will develop and improve their reading ability whilst remaining entertained and inspired. 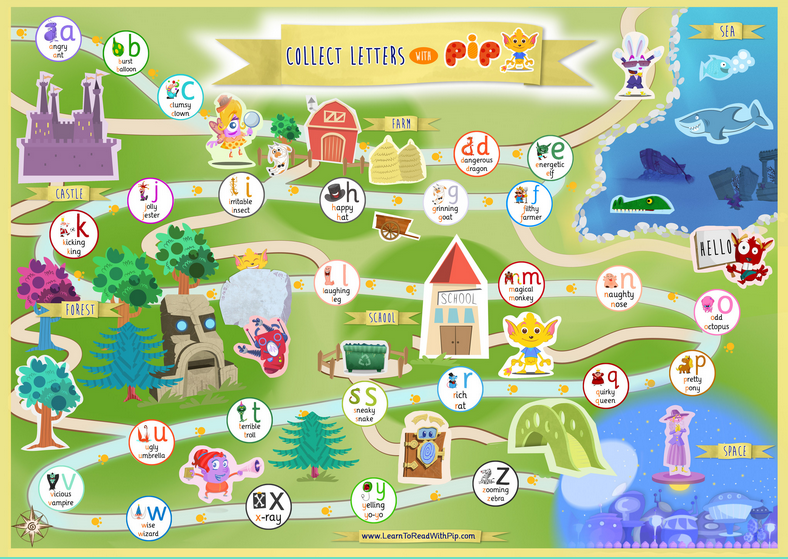 Pip, our adventurous collector of letters and words, will lead your child through a rigorous series of great games, exciting exercises and cool challenges as they learn to read. Our teachers have created a series of interactive games and specific skill-building exercises which allow your child to build confidence whilst advancing at their own pace. Choose word: Choose the right word to match the picture and collect stars. Get help from the Phonics Reading Pad, which gives you the right phonemes needed to read the word yourself! Silly and Sensible words: Feed nonsense words to the terrible troll and sensible words to Pip. Get 8 stars to beat the terrible troll! Unlock words: Match the picture to the correct word to unlock a new word for your collection room. Stuck? Simply press on the word and you can hear its phonics with the Phonics Reading Pad! Match: Pair the correct word and picture to win all your stars and unlock the next level! Collection room: Collect letters and words and use them to create your own pictures. Take photos of your certificates of achievement! The winner will be drawn by random generator on the 11th December 2013. The competition closes at midnight on the 10th December 2013. The prize will be for one Pip’s Alphabet Poster + Bonus Practice Words With Pip App. I used to take a dictionary to bed when I was younger so I know lots of A’s! Disappointed that this comp is only open to UK residents – you’re not the only ones to speak English you know!! !